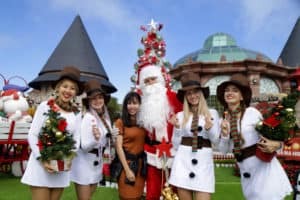 Doing the check-in by a uniquely ornated Christmas tree and meeting the Santa Claus family or the Snow Princess… are some notable interests just found from November 20 to December 31 at Sun World Ba Na Hills. 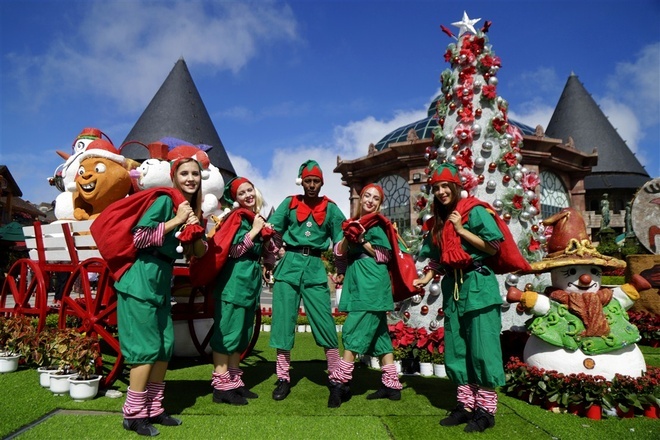 For its second year in a row, the Winter Festival at Sun World Ba Na Hills struck a burst of colors that stood out, such as white, red and green of artificial settings from the entry gate to the peak. Red draped the whole setting and led visitors to an ubiquitously European and convincing Christian story right in a tropical country: from a row of three-meter high poinsettias at Bordeaux Train Station to a heart graphics of hundreds of red poinsettias in Saint Denis Church. Dark greenery of elaborately erected Christmas trees around the fountain, coupled with white and gold, add joys and vitality to the festive season on the Lord Mountain. 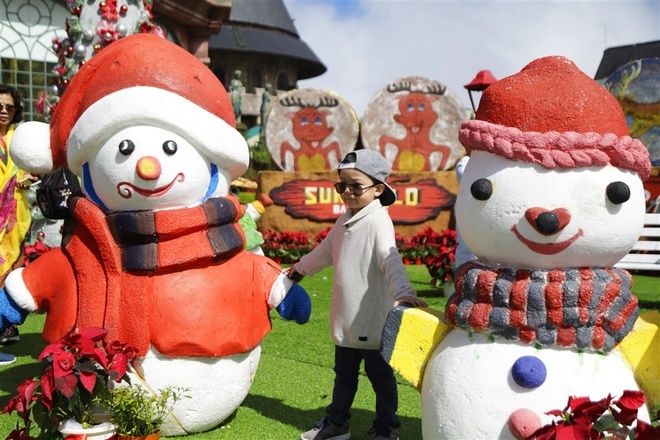 Besides, a visit to the red house of Santa Claus will draw lots of visitors from children to the elderly in this year’s Winter Festival at Ba Na Hills. 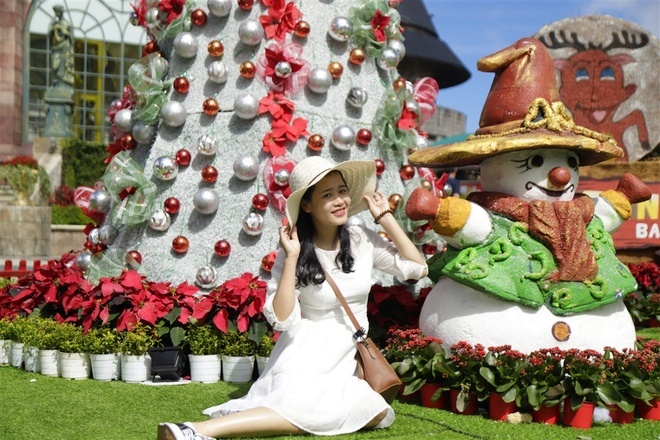 Visitors can witness the cordial and affluent life in Christmas or Mr. and Mrs. Santa Claus. 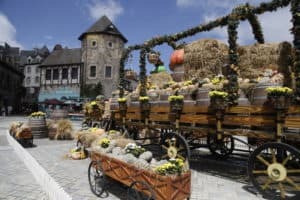 The setting is decorated as a winter garden where reindeer and animals gather in the red roofed houses by the turf fire and carefully wrapped Christmas gifts, as if visitors are invited to cross the sky straight to Europe. 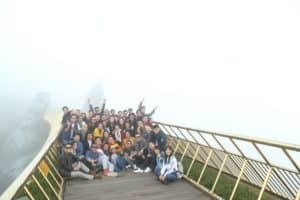 Ms. Do Anh Tuyet, from Quang Nam, eagerly said: “Christmas prevails across Ba Na, and the graphic setting was well crafted and so impressive. 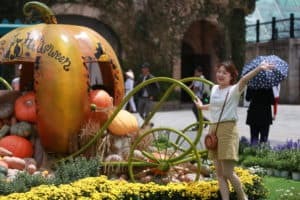 I love Santa Claus family and adorable snowmen at the square the best”. 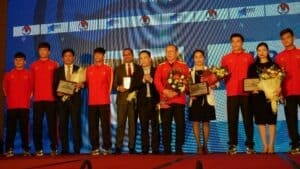 Little kids such as Nguyen An and Do Lam (6 years old, from Hanoi) couldn’t help but delight: “We love this place and don’t want to go home. Christmas here is so exciting as we can visit Santa Claus and have his gifts”. 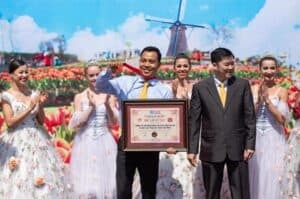 What sets Ba Na apart from other festivals is stage performances. 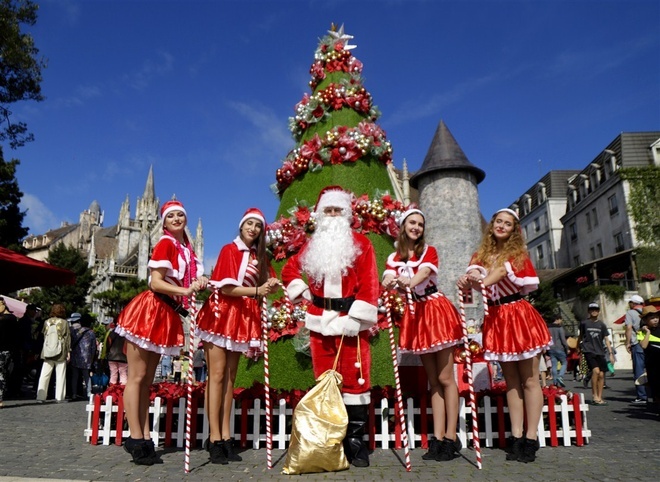 In Ba Na Flower Festival, each theatrical work is recognizably Christmas, such as The Nutcrackers and Christmas Troublemaker… from 10 am to 3 pm on a daily basis. These dramas are exquisitely carried out and performed by established foreign artists. 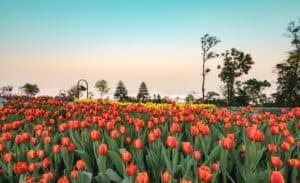 Each scene glitters with a magical fairy tale setting and involves amusing childhood icons such as the tin soldier, ballerina dolls or amusing clowns. 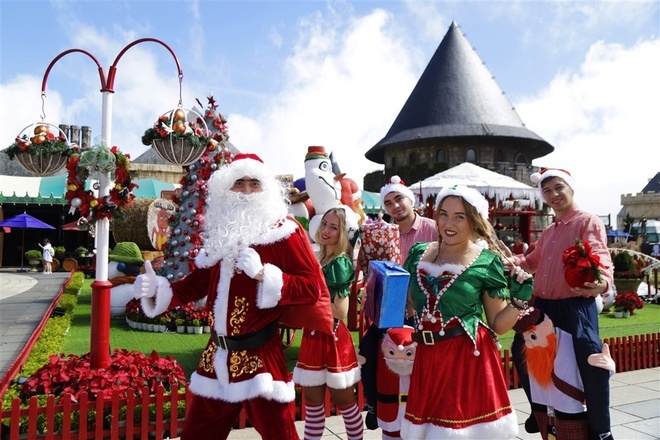 Visitors are also delighted by easy going Santa Claus all over Ba Na Hills and get colorful candy sticks from this “red clad ambassador”, like his little Christmas wishes from the resort complex to all visitors. 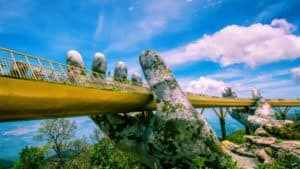 Up until December 31, Sun World Ba Na Hills are offering a great winter combo: just for VND850,000, visitors can all get aboard cable cars to travel Ba Na and enjoy free of charge a buffet serving worth vND300,000 in three famous restaurants of Arapang, La Lavender and Le Louvre.